The European Parliament has adopted a non-legislative resolution on distributed ledger technologies (DLTs) and blockchains. In the resolution, which was adopted last month, the Parliament emphasised that the EU has an opportunity to become "the global leader" in the field of DLT and to be a "credible actor" in shaping its development and markets globally. The resolution discusses potential benefits of DLT/blockchain in a range of sectors, including financial services, healthcare, transport, supply chain, education, copyright and energy. It also sets out some of the challenges facing the deployment of the technology and offers various recommendations. enable users to gain a stronger control over what personal data they want to share, and can enhance personal data management. In addition, the resolution makes various recommendations. asks the Commission to undertake policy initiatives that promote the competitive position of the EU in the field of DLT. The resolution will be considered by the European Commission. 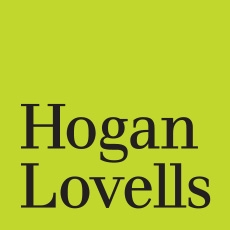 If you want to take advantage of blockchain's huge potential and disruptive impact, while avoiding falling foul of ever-developing regulatory and legal requirements, visit our Hogan Lovells Engage Blockchain Toolkit. For more news and analysis that is tailored to you, as well as access to Hogan Lovells' cutting-edge interactive Lawtech tools, register for free on Engage. You can also keep track of all the Engage content by following our LinkedIn page. How are countries regulating ICOs? "I use the newsfeeds to follow legislative changes and industry trends relevant to my division. I find the articles to be of a good quality and the topics are well researched and presented in a very user-friendly format."